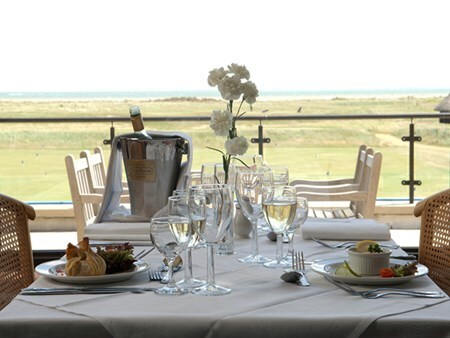 Prince's Golf Club and The Lodge at Prince's is one of the UK's newest Links golf destinations and offers a series of 'Links and Lodges' packages for travelling golfers. Prince's offers all that is best in modern golf: with its 27 holes of Championship Links golf, practice facilities to match and a centrally located clubhouse with friendly, attentive staff who understand your needs. You will always be guaranteed a corporate golf break to remember at Prince's Golf Club and The Lodge at Prince's, with golf over any combination of Championship Links courses, evening meals in The Brasserie on the Bay, a modern, contemporary dining experience where the emphasis is placed on local Kent produce, with overnight accommodation in the all new Lodge at Prince's, which is always followed by a hearty breakfast in the morning. Golf packages are tailored to meet your own specific requirements; guests are able to customise their package from a range of options of make each golf break a truly memorable one. Bookings can be made for groups of various sizes and the length of the break is arranged to suit your specific requirements. Can't find your favourite Luxury Golf Break package?